Although I totally friend-zoned him for the first eight years I knew him, I've always known that my husband was the best guy. He is kind, considerate, and sacrificial, not to mention he's good at basically everything he does. He's the type of guy who pulls over on the side of the road to help people with car work, who pays for people's meals at restaurants, and who willingly puts in extra hours to help people when he knows it won't be repaid. And none of this is a surprise to me, because he was this same way when I knew him as an acquaintance, a friend, a crush, a boyfriend, and a fiance'. I love him a lot, guys. 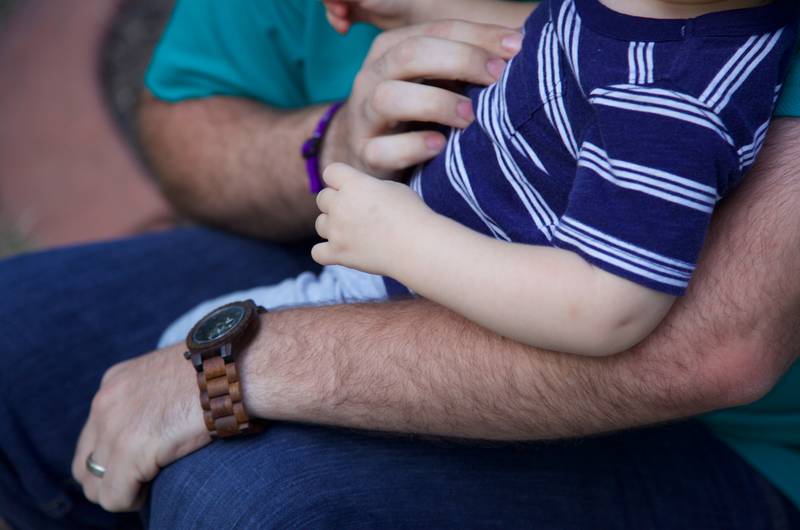 I love him so much that I was honestly really nervous about how things would change for us once we had a baby (see Nine Reasons I'm Afraid to Have a Baby for more on that). But what I didn't know is all of the sweet new joy that awaited. There's nothing quite like watching the one you love become a dad. That transition from the love of your life to the love of your life who has also created this little love that's a piece of you both is the most incredible, unexplainable thing. 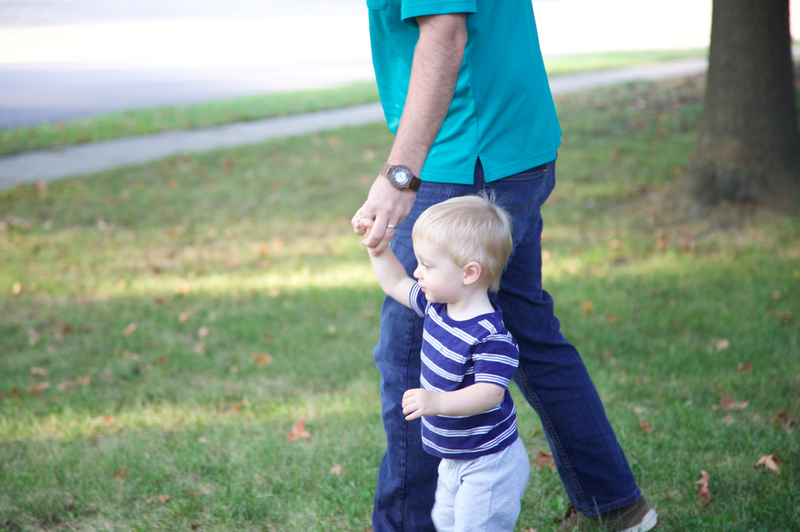 I can't express the joy that I feel as I watch my husband love on our 19 month old son. Hearing the giggles and squeals of delight from both of them as they play down the hallway is the best sight. When I glance over in the lamplight as our son cuddles up on Daddy's shoulder, I think I can legitimately feel my heart burst. And in the moments when our eyes meet in delight at something our kiddo is doing: those are powerful moments, y'all. My love for my husband is even stronger when I watch him be a dad. And while we're on the topic of "watching", Aaron is totally loving his new Jord watch! (Pardon my pun, it just happens!) His new Dover Koa & Black watch is automatic and requires no battery. 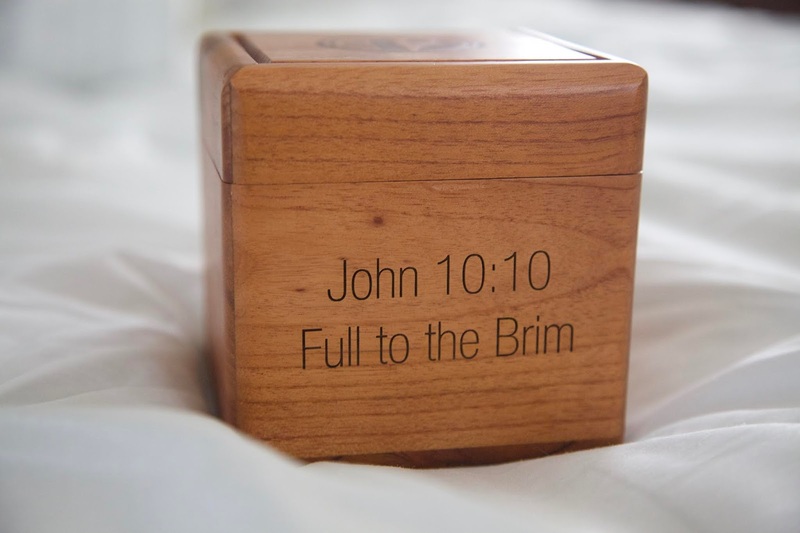 And I was even able to get the box engraved with one of his favorite verses that is near and dear to both of our hearts. 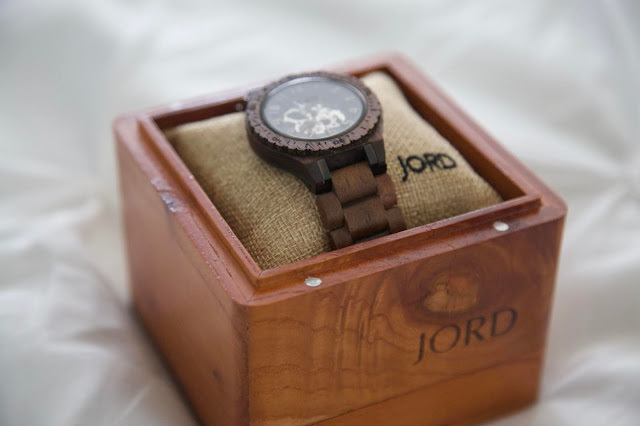 JORD watches are the perfect mix of classy and handy enough for everyday wear. They're tough enough for dads, which is a big deal now that I'm married to one. And guess what?! They're giving away free codes for 10% off any JORD watch. Go grab your free gift code here! If you win the giveaway, you'll get a code for $100 off, but you'll get 10% off just for filling out the form! The contest will close October 14th at 11:59pm, so hurry and enter now! 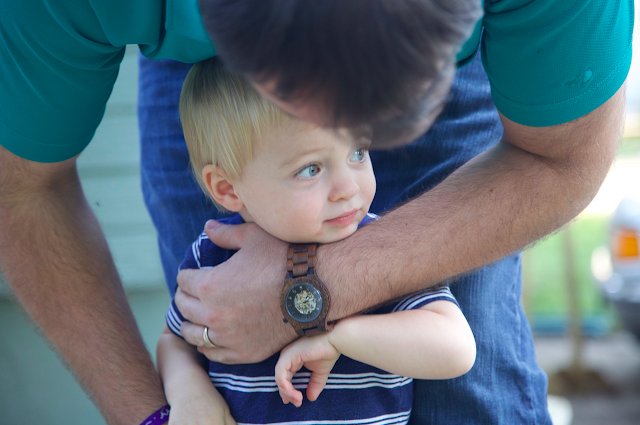 I hope that you can gift a JORD watch to an amazing dad in your world, whether he's your own dad, your husband, or just an amazing father you know and love. 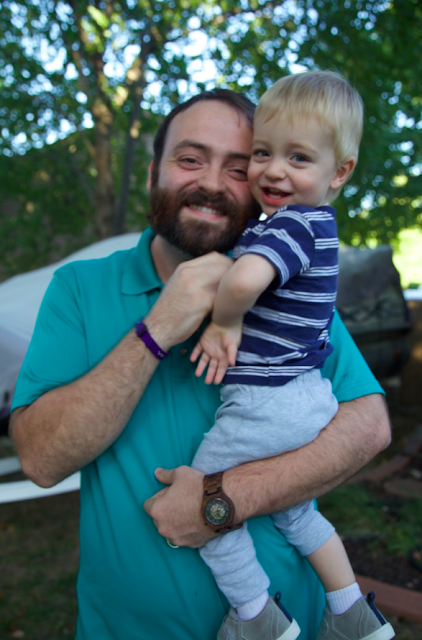 One thing's for sure, it's important to celebrate these men who love our kiddos in the most amazing ways. Watching my own husband love our son is such a blessing and a joy, and I'm so so grateful to be along for the journey. I love this! Watching my husband become a father was/is one of the best gifts of my life. Now that he's going to be a father of a little girl, I can't wait to see how the dynamic is going to change from being daddy to a son to daddy to a son PLUS a daughter! Thank you! It's a huge gift! awe so sweet! I can already see changes in eric and it's so cool to watch!